June 5th. Wow time flys when your having fun! I made a decision I am dropping out of GHI insurance and then I will drop out of health Net. I am sure most of you are wondering why? These insurance companies devalue chiropractor care especially in New York State. Theses insurance companies pay less than thirty dollars a visit. It costs me more to try to get paid from them. 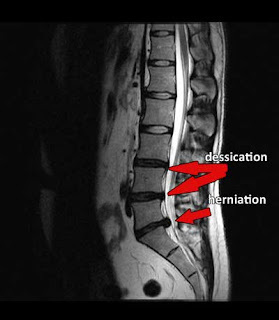 My practice has evolved into Spinal decompression and emphasis in treating disc herniation patients that are willing to pay for their care out of pocket. In this market of diminishing chiropractor reimbursement this is welcomed. If you know anyone suffering from sciatica or herniated discs, spinal decompression treatment is the best option and should be considered in place of surgery. DRX 9000 or any other FDA approved machine would work just fine as long as the spine is being decompressed. Look out for my article being published in Mens Health and possibly a radio interview on Sirius satellite radio.